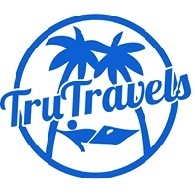 Average rating of 4.8 for all TruTravels trips. Full Moon party pre-drinks, UV painting and free shots! Boat trip around Phangan with snorkelling, beaches, waterfalls, free food and bar!